The team of professionals at Tahoe Fracture & Orthopedic Medical Clinic is pleased to bring open MRI (magnetic resonance imaging) technology to patients in the Washoe Valley, Nevada, area. 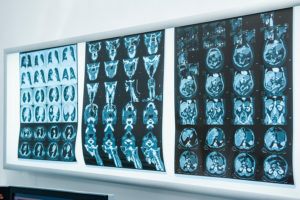 We understand that undergoing a traditional MRI can be a very stressful experience, particularly for those who tend to experience claustrophobia. During a traditional closed unit MRI, a patient is completely surrounded. This can also present issues for larger individuals, who may not be able to fit inside a traditional closed unit machine. That’s why we’ve chosen to make open MRI technology available to patients in the Washoe Valley, NV, area. Our Esaote S-scan machine allows us to position patients on a wide, rotating table. The flexibility offered by this open MRI setup makes it easy for us to examine any area of the body. And most importantly, our patients remain much more comfortable than they would when using traditional MRI technology. If you’re in the Washoe Valley, NV, area and are interested in learning more about our innovative open MRI technology, please call Tahoe Fracture & Orthopedic Medical Clinic today. We would be happy to provide you with additional information, answer any questions you may have about our open MRI machine, and help you schedule an appointment to visit one of our nearby locations.